Barnaby Chappell qualified from Charing Cross and Westminster Medical School in 1997. He completed his higher surgical training in 2009 having spent his senior years at Guy’s Hospital, specialising in complex renal surgery and robotic surgery. During training he undertook international fellowships in America and Belgium. Barnaby is trained in all aspects of open and endoscopic urology and has particular interest in laparoscopic surgery, particularly for the management of prostate, renal and bladder cancer. Having been awarded the FRCS Urol in 2008, he has expanded his interests in urological cancers by researching innovative surgical techniques and imaging modalities to improve staging and treatment, including Template Biopsies of the prostate and multiparametric MRI. 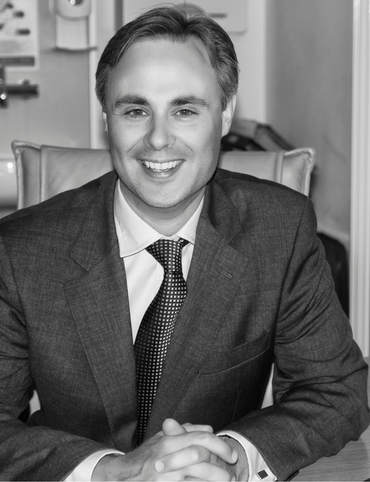 Barnaby is the West Sussex Urology LLP specialist in the treatment of Erectile Dysfunction and sees patients in his clinic at Goring Hall Hospital. Barnaby also has an interest in treatment of benign prostate hyperplasia and has recently been trained to use the Urolift system and is currently introducing this for private patients across West Sussex. Barnaby is married to a cardiologist and has 3 children. Based at Goring Hall Hospital. Clinical Availability: Wednesdays and by arrangement for emergencies. o Consultant Urological Surgeon Goring Hall Hospital & Montefiore Hospital Hove. o Consultant Urological Surgeon Western Sussex Hospitals Foundation Trust (Worthing Hospital, Southlands Hospital and St Richard’s Hospital, Chichester).